"Evened up the Playing Field"
"Joe did an amazing job with my case getting me what I needed from the insurance company. He was my third Lawyer (wished I had gotten him first)." "Hiring Joe to handle my Workers Comp case was one of the best decisions that I made. Over the course of my injury Joe always made sure that he explained what was going on and answered any questions that I had. He was compassionate and empathetic to my frustrations with the process." "I am very pleased with the way Joe handled my case. He was very professional and explained everything to me from day one. He was very personable, an overall awesome attorney." Workers' Compensation Case - "Awesome! Joe has been one of the nicest and efficient lawyers I have ever had the pleasure of meeting and working with. He's always kept me informed with everything I needed if by chance I miss him in his office he is ALWAYS prompt to respond most of the time the same day! I would recommend him to anyone that has had any type of injury. He gets whats owed to you and he don't mess around!" Personal Injury Case - "Best Lawyer Out There - I have hired Joe for a few cases now and that was the greatest decision I ever made. Joe is knowledgeable of his practice and will fight for you! One of the best lawyers out there, if not the best. Give Joe Ranone a chance, you will not be disappointed." "One of the Best Lawyers Out There"
Workers' Compensation Case - "One of the best lawyers out there. Joseph Ranone is one o the best lawyers i have had the pleasure of meeting. he kept me informed of everything that was going on with the case and took time to explain everything that would happen with court..he is a compassionate person who takes the time to get to know his clients and there background.. i have already recommended him to some of my friends who are dealing with workman's comp cases at this time. if i ever needed something or had any type of question he was always there to answer it for me.. I'd gladly recomend him to just about any one who needs a good lawyer.."
Workers' Compensation Case - "Young, diligent, trustworthy, and knows the system. I have dealt with several lawyers over the years and Jo by far has been the absolute best. Joseph was able to professionally bully one of the tougher insurance companies which I wont mention (Beacon) getting me twice the amount of money they offered plus he was able to get me an extra 5.4 grand for a very small scar. I was completely impressed. Joseph J. Ranone is HIGHLY recomended." Workers' Compensation Case - "Great Lawyer! Very professional, quick results clients best interest at heart. Has helped me with several issues. Successful on all counts. Would definitely use his services in the future." "Joe Has Helped Me in a Difficult Time..."
Workers' Compensation Case - "Joe has helped me in a difficult time with Workman's Comp. He knew how to deal with Workman's Comp. Court and how to deal with the insurance company. He also knew about how getting extras out of the insurance company. When I ever need any legal questions answered I ask Joe Ranone"
"I Would Call Joe and Nobody Else"
Workers' Compensation Case - "I have known Mr. Ranone in his professional capacity as an attorney dedicated to Workers' Compensation since the year 2007. I have personally referred a number of clients to his office. Mr. Ranone is courteous, caring, and prompt in returning phone calls (a rarity), highly professional and effective in the successful handling of cases. I know of no other attorneys who I have referred cases of whom I could say the same. In my personal dealings with Joe, he is honest to a fault, kind and caring. If, God forbid, I would need the services of a Workers' Compensation attorney, I would call Joe , and nobody else." Workers' Compensation Case - "Joe did a great lob for me. it's hard enough dealing with a bad injury, and to have all the legal aspects to deal with as well, can be overwhelming. Joe handled my case professionally, and enthusiastically. 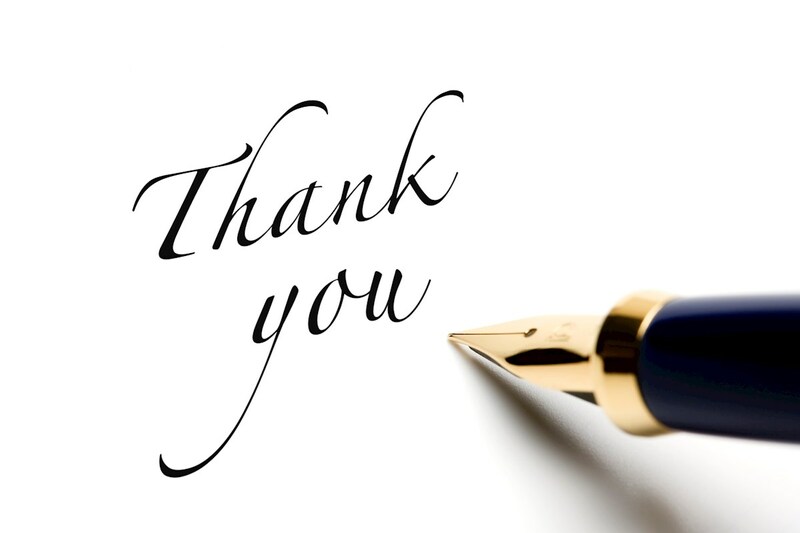 I have and will continue to recommend Joe, and will use his services in the future if needed." Workers' Compensation Case - "When I got hurt at work, I knew I needed a good lawyer. I was recommended to Joseph Ranone. When I first met with him he made me feel so comfortable. As time went on, He kept me informed about my case, answered any questions I had. Joseph is trustworthy, dependable, respectful, just an over all great lawyer. I would recommend him to any one." Workers Compensation Case - "Joe was there when I needed him. Joe listened to my concerns, and gave me support when needed regarding what to do next with my case. If he didn't know the answer to a particular question he would find the right answer and get back to me with quick results. Joe made me feel I had some one watching my back in my time of need. I would recommend Joe to any one." Workers Compensation Case - "Joe has been my best experience with an attorney. He is not only knowledgeable, but he is personal and caring. Joe calls on a regular basis to keep me informed." Workers Compensation Case - "Joe explained everything in detail if I had any questions. Joe would get right back to me he got me more than I thought on my scar and settlement thank you for all your help." "Joe Ranone is a professional, knowledgeable and compassionate lawyer. In our first meeting Joe explained everything in detail of what might happen and prepared me well of things that could come up and what I would need to do. He called anytime there was information I needed to know. I was nervous about the process but Joe constantly reassured me. He always listened to my concerns and his advice wa always thoughtful and extremely helpful. I am so grateful to have had Joe for my lawyer. He really cared about my case and me as a person. Thank you Joe for everything!" "Joe Ranone was very knowledgeable and professional in the handling of my case. Some lawyers can be intimidated, but not Joe, he always kept me informed and took the time to explain every aspect of what I could expect and he always returned phone calls. I was comfortable in the fact that within the 1 1/2 years it took to settle my case, he definitely got me a fair settlement." "Joe was a really great, he helped me get exactly what I wanted. He always answered all my calls and never left me wondering what was going to happen. He is the best lawyer that I have ever had. Thansk Joe for everything." "Workers Compensaton Case - "I am very pleased with the outcome of my case! Joe was very easy to work with and very professional! Other than being a cowboys fan, I have zero complaints. Thanks Joe for helping me close out this chapter of my life." Workers Compensation Case - "I have to say Joe Ranone has been an awesome lawyer. He worked with me from day one. He explained everything to me in the beginning and there after every other time I needed an answer. He always returned my phone calls in a timely manor and was very professional through out this process. He's polite, funny and very understanding and he told it like it was. I'm very pleased with the outcome of this case. I would recommend him to anyone who needs a good lawyer. If I had to do it all over again (which I hope I never have to (lol) I would hire Joe Ranone again in a heartbeat. Thank you Joe for all your hard work and dedication to close this case!"